After a long and exciting weekend at Dresden the winning teams are known! 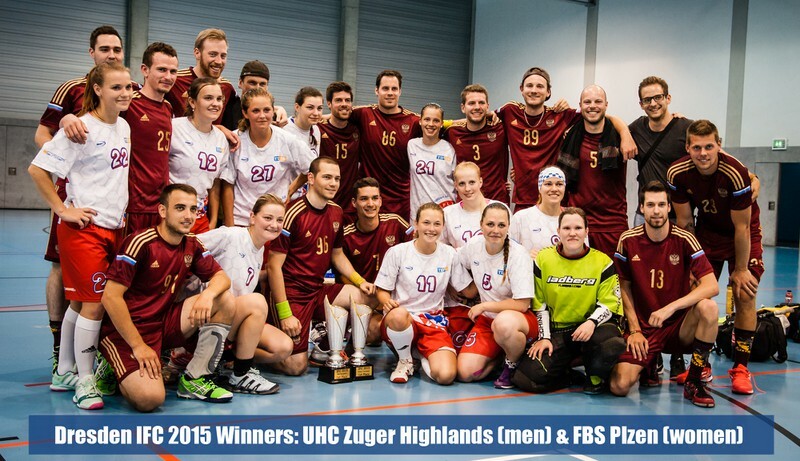 In men tournament the UHC Zuger Highlands was successful in title defense! In women tournament the FBS Plzen won against UHC Weesen in penalty shoot out! In 2015 IFC was bigger then all times before. With a total number of 30 participaiting teams, 20 in men tournament and 10 in women tournament, IFC was the biggest tournament ever played in Germany. 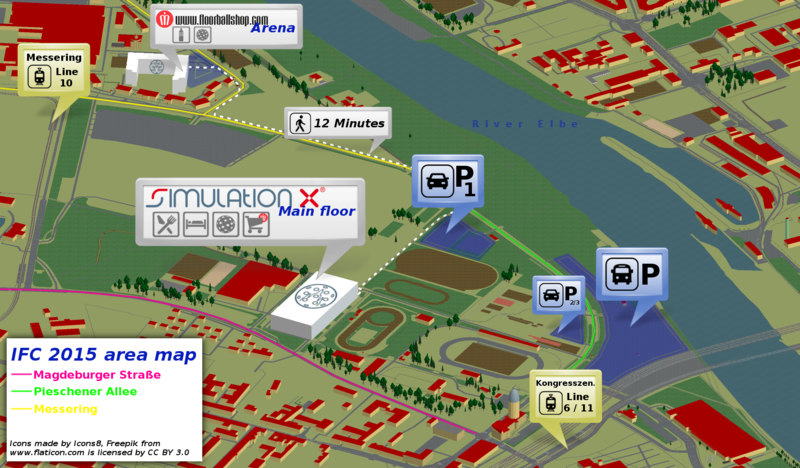 Due to the large amount of teams and matches it was neccessary to get a second arena for the matches in addition to the EnergieVerbund Arena with two fields in it. After fascinating matches in the group stage on Saturday some surprising results follow in the quarter finals. In men tournament three of the four second place teams of the group stage won against the favour first place teams. Only Iloiset Ketut (CZ) reached the semi-finals as first place team from the group stage together with florbaloveturnaje.cz (CZ), Jytky (FIN) and title holder UHC Zuger Highlands (CH). In semi finals Iloiset Ketut (CZ) lost against UHC Zuger Highlands and finished on place 4 at the end. In second semi final florbaloveturnaje.cz was beaten by Jytky and we finally had an swiss-finnish final macth. In a hard final match only one goal was the game decider and Zuger Highlands were the first team ever in IFC history with a successful title defense. In women tournament we had some strong teams this year. For example Tatran Stresovice (Extra Liga, CZ) and MFBC Grimma (German champions of 2015). Both teams were in the same preliminary round group and grimma won all matches without one goal against them. Tatran finished second and reached the semi finals as well. In the other group the girls of FBS Plzen finished first with 4 wins and UHC Weesen from Switzerland finished second. In semi finals Grimma was beaten by Weesen 2:4 and Tatran was beaten by Plzen as well and so both of the favor teams did not reach the final. Tatran managed to beat Grimma in match for place three and finished on third place. After a drwa in regular game time a penalty shoot out had to decide about the winning team. Only one penalty was successful and FBS Plzen won a dramatic final.